One of the more interesting aspects of this year’s U. S. Open is that Casey Martin will be playing. 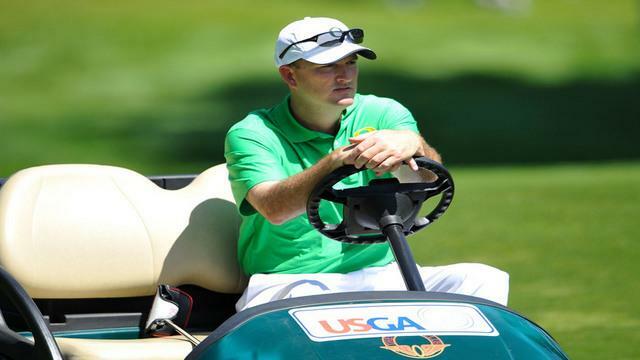 If that name doesn’t ring a bell, Martin, a college teammate of Tiger Woods at Stanford, sued the PGA Tour in the late 1990’s for the right to ride in a cart during tournaments. He has a degenerative condition in his leg that makes it extremely painful to walk. He ended up winning that lawsuit, but didn’t play for too long professionally. He now coaches the golf team at the University of Oregon. Golf Digest and Sports Illustrated both have chronicled the story. In several places in Paul’s letters, the well-functioning community is compared to a body (1 Corinthians 12; Romans 12). “Every body is made up of individual body parts,” says Paul, “and each must play its role.” This is, of course, common sense. The eye cannot say to the hand, “I’d quite rather be a hand and am mad that I’m not.” Paul is obviously taking something from common knowledge and driving home the point that community life breaks down when people are not content with the role that they’ve been given. Community functions well in accordance with creational design when people play the role they were designed to play. This has direct relevance to sport. Not only is it a canard of modern pop psychology that “everyone is a winner,” but a further misuse of sport occurs when we insist that everyone can be involved in the same way. As a way of making this point, we may consider the instance of Casey Martin that we briefly mentioned above. In 1997 Casey Martin sued the PGA Tour successfully in order to be allowed to compete in PGA events while using a golf cart. He was successful, and this was made out in some circles to be a triumphal tale about how a person can gain victory over insurmountable odds. While Martin’s story may indeed have been a motivation for many to pursue their dreams in the face of physical limitations, there is also a significant sense in which Martin’s motivations were shaped far more by enlightenment individualist ideals than by an ethic shaped by theKingdomofGod. Martin’s refusal to accept his physical limitations caused significant dismay to some of the game’s stalwarts, such as Jack Nicklaus, whose concern was not necessarily to maintain the discriminatory nature of the game but to uphold the game’s integrity and the purity of competition. While Martin was trying to fulfill his lifelong dream of competing on the PGA Tour, there was also a sense in which Martin was willing to sacrifice the honor and integrity of the game itself to do so. Nicklaus and others like him, responded quite rightly to Martin’s quest. One way to embody shalom in sport would be to recognize that the ultimate value is the integrity of the well-played game where everyone finds their place. Not everyone is going to play the point guard position in basketball, nor quarterback in football, nor occupy the status of the best player in the world in an individual sport like golf or tennis. But this ought not to cause any dismay, since the value of an individual is not determined in the game. The value of each individual is determined before God. One’s value is already determined by the grace of God and only subsequently are individuals-in-community turned loose to inhabit and enjoy the game to the glory of God. Then, whether one wins or loses, or whether one’s role is to enjoy sport by looking on and not participating because of physical inability or lack of skill, one’s status as an individual created in the image of God remains secure. It’s been interesting to witness the change of opinion over the years about Martin’s case. Is it right to allow Martin to ride a cart? Is that an unfair advantage? Is it discriminatory to deny him use of a cart? Is it just unkind to object to it? Are there other aspects of Christian theology that bear on this situation? I don’t see how allowing Martin to ride a cart gives him an unfair advantage. Maybe I’m wrong on this, but it doesn’t seem like golfers ever cite fatigue from walking as one of their reasons for a final hole debacle. But I do think this violates the integrity of golf, which gets at the individualist ideals you mentioned. Anyone who has played golf knows how much integrity is involved in the game. Certain things are obviously big no-no’s. Someone who compromises one of these areas is inevitably going to receive some scowls from the golf purists. While we could argue that Martin could provide for an inspirational story, it does seem that his yearning for this is much more driven from an individualistic thrust. As a former athlete, I get it. We always think we’re capable of something special, and Martin surely thinks he still has some game left and this he can prove to the world. Whether or not he should play, I don’t know. But it’s definitely likely that his motivations are driven by what you highlighted. That’s the foundation of how athletes are trained to think in America and it’s tough to know how our Christian foundations should respond to that. In other news, what’s your prediction for Tiger this weekend? One of the big arguments against him walking is that over 4 days (18 holes a day), a tournament wears you down mentally and physically so that on the last 5-6 holes, it affects your mental toughness and decision-making capacities. There’s a need for perseverance that someone with a cart doesn’t face as much. The classic case is Ken Venturi at the U.S. Open in 1964. Washington, D.C., sweltering heat–it was brutal and many fell back because of the conditions. Venturi would claim that he would’ve loved to ride a cart! Tiger? So unpredictable, and I hope he does well, but my hunch is that his driver will betray him, which will put pressure on other aspects of his game. I think he’ll finish out of the top 10. So hard to know with Tiger. I’d like to see him do well too!